In a bombshell report on Tuesday night, the New York Times’ C. J. Chivers revealed the existence of a “largely secret chapter” in the Iraq War. 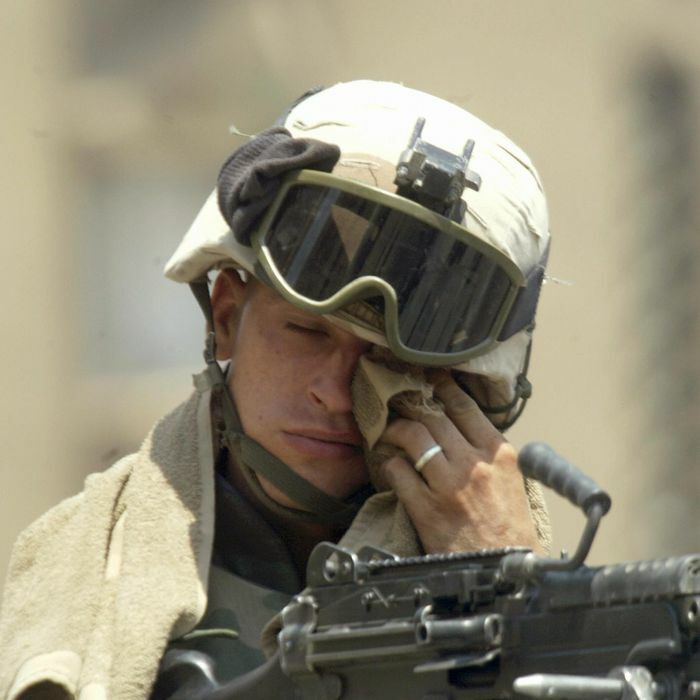 Between 2004 and 2011, American troops and Iraqi police officers repeatedly found chemical weapons produced by Saddam Hussein’s regime before 1991, and at least 17 U.S. service members were wounded by deteriorating shells filled with nerve or mustard agents. The men suffered burns, severe blisters, respiratory problems, and other long-lasting health problems, but the U.S. government prevented the troops from receiving medical care and refused to recognize that they had been wounded in the line of duty. And to make matters worse, ISIS now controls the area where most of the weapons were found. There’s a lot of infuriating information in the 10,000-word report and accompanying documentary. But conservatives quickly pounced on one point that isn’t even true: U.S. troops found weapons of mass destruction in Iraq, so President George W. Bush was right to invade. The Times reports that “American troops secretly reported finding roughly 5,000 chemical warheads, shells or aviation bombs,” which is far more than previously reported, but it’s been known for the past decade that old chemical weapons were found in Iraq. The headline on Fox Nation read “NYT: There Were Chemical Weapons in Iraq After All.” The front page of the Blaze proclaimed, “NYT: Chemical Weapons Were Found in Iraq.” And a Breitbart post failed to note in its headline or first paragraph that soldiers were wounded. Why would NYT finally admit that there were WMDs in Iraq? Because ISIS has been using them and no one can hide behind that lie anymore. While the military cover-up is ongoing, it started during the Bush administration. Soldiers were wounded by chemical weapons in at least six incidents, and several say that when they sought medical treatment, Army doctors misdiagnosed them and even suggested they were faking their injuries. “We came in, we’re not bleeding, we’re not missing body parts,” said Staff Sgt. Eric J. Duling, who was injured in 2008. “So they were kind of like, ‘What’s your problem? Are’ — you know, typical response – ‘are you trying to get out of duty?’” Some are still suffering from symptoms like headaches, memory problems, and difficulty breathing. Soldiers say they were told to lie about how they were injured and were denied Purple Hearts because they allegedly injured themselves. The Pentagon kept information about their cases from Congress, Army doctors preparing an official textbook on battlefield wounds, and troops facing the same dangers. But if somehow dozens of wrongs make a right, sure, the Bush administration has been vindicated.